Prepare yourself folks. 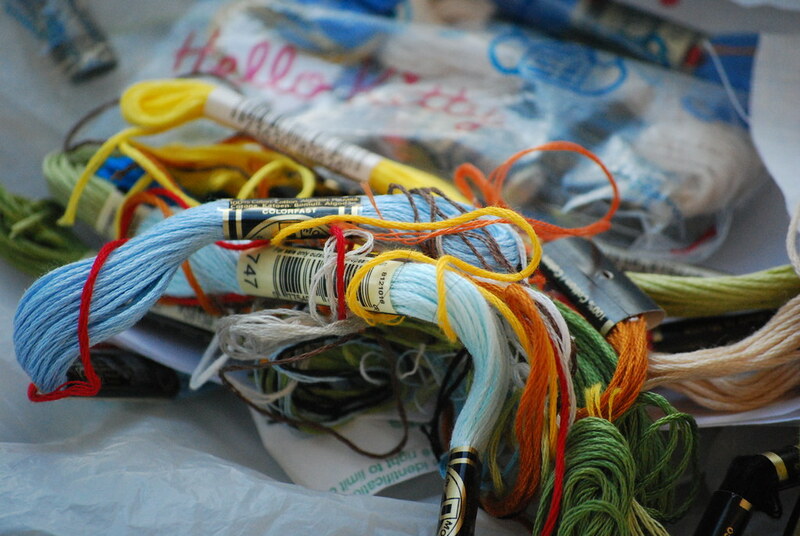 I'm going to let you see what my collection of embroidery floss looks like. This one isn't too scary. But it gets worse. I keep mine in a shoebox, I find that helps to keep from tangling because it isn't being moved around in a bag. Looks a lot like mine! Haha. 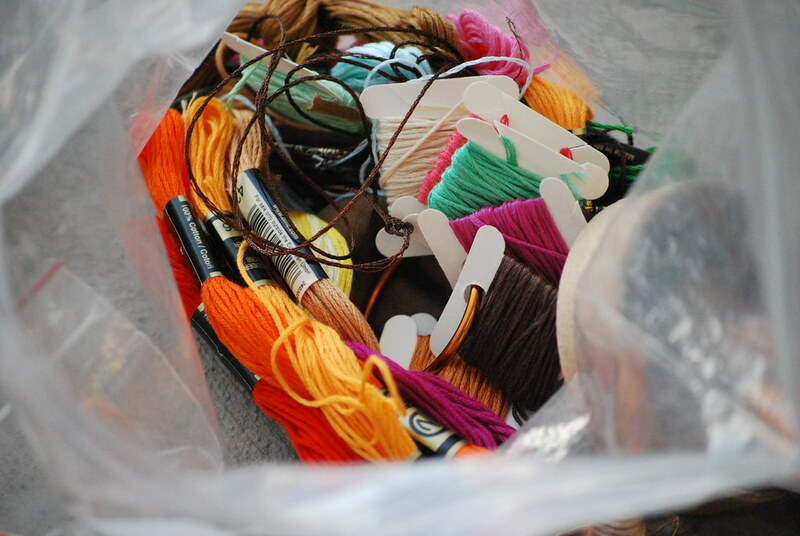 I have the ones I used recently or the ones I'm using at the moment in a little textile bag together with the embroidery and the rest in a shoebox. All my material is arranged in smaller carton trays that comes in it. But I'm sure if everything is neat and tidy it could also be a whole lot less inspiring. Some color combos just would have things click! I love your style so whatever works for you! Oh, good luck with that one! I inherited my collection from my mom and they came complete in their own DMC floss caddy (3 shelves for grouping by color). My good friend just gave me a bag of floss she inherited from here grandmother (there was tons to go around). I am crazy for rainbow order, so I sorted them by color and placed them in magnetic metal tins that stick on the side of my filing cabinet. For my own stash I use an ArtBin acrylic box and wind them around those silly cardboard spools--a lot of work, guess I had more time on my hands when I did that! I wind my floss on the plastic bobbins from DMC and then put the little number label on the bobbin. Then all the bobbins go into a plastic bin. I now have four bins. 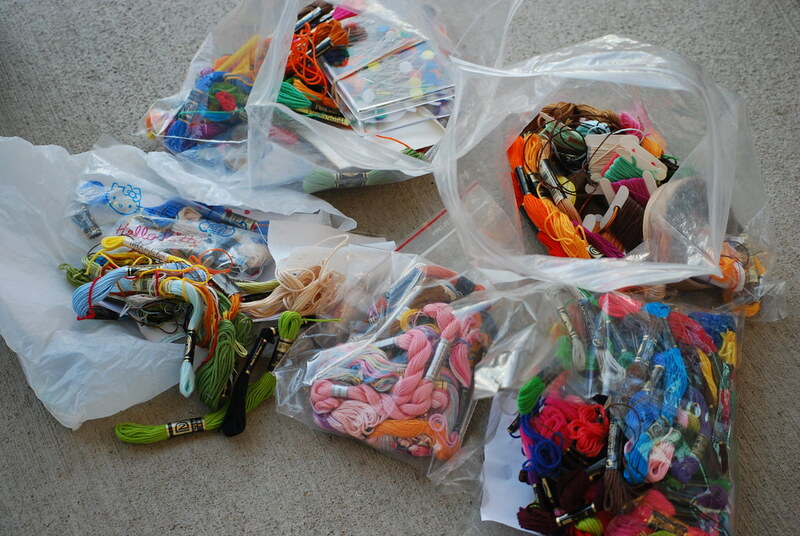 I often look at the bins and wish the rest of my life was as organized as my floss bobbins were.